By Gabrielle. Photos by Amy Christie. Here it is. 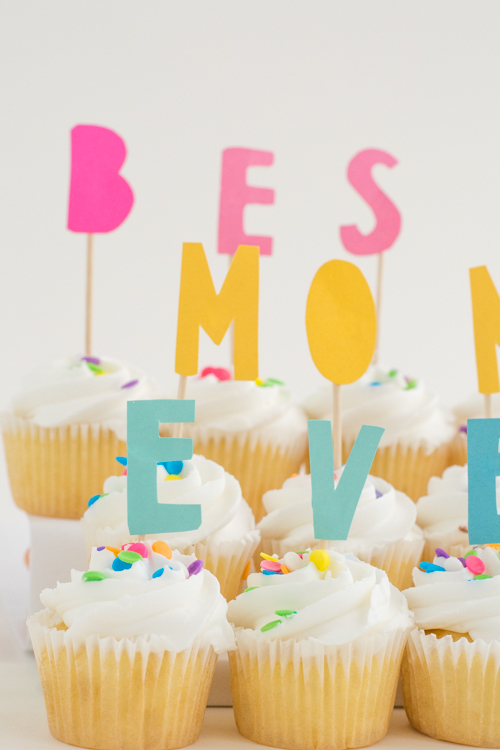 The best idea for last-minute celebrations and forgotten holidays! You’ll want to bookmark or pin this one and keep it handy. It’s awesome because it looks special but only requires kindergarten-level crafting. 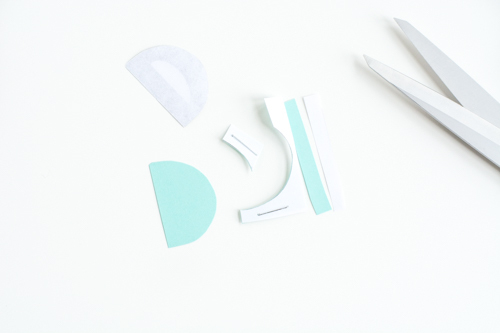 Can you cut basic shapes out of paper with scissors? Then you’re good. 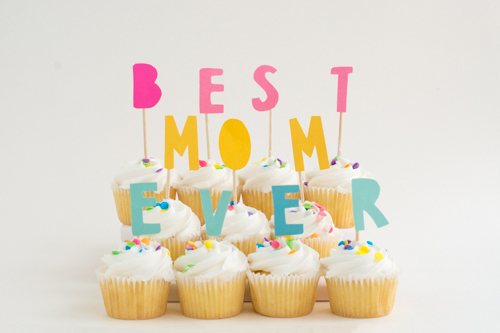 Let’s take Mother’s Day for example. It’s coming up on Sunday. 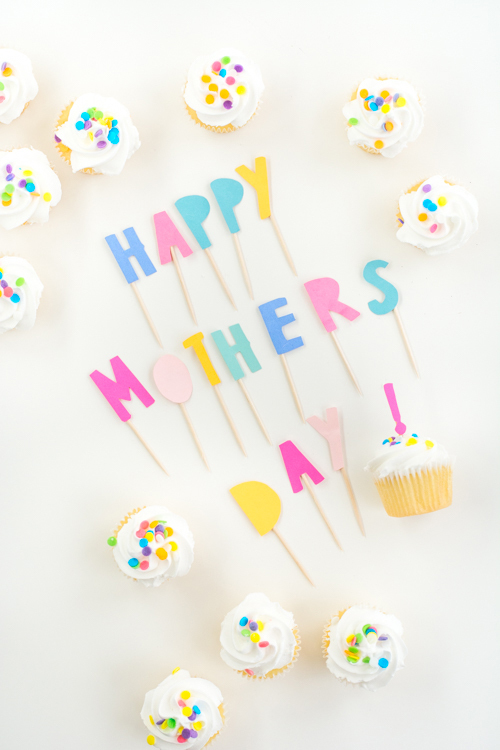 Have you thought about what you are doing for the moms in your life? 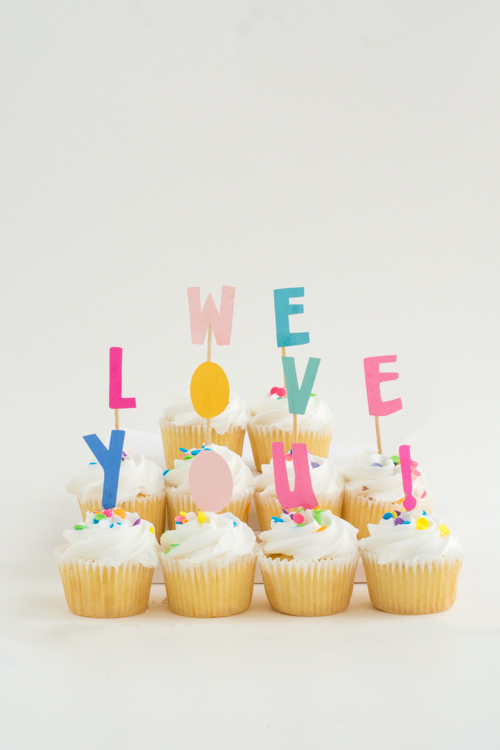 Even if you’re out of time, you can manage store bought cupcakes topped with a cut letter message. A simple project that happens to look cool. Extra points if you spell out something sassy! 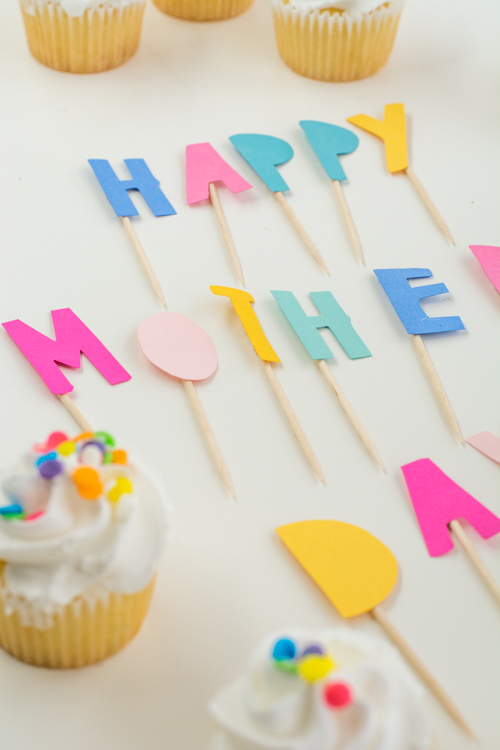 Just about anyone (including little hands) can cut out letters, so this can be a family effort, or a surprise the kids make for Mom or Dad or a friend’s birthday. And, I promise, the recipient will love it. Pick up some baked goods at the grocery store. 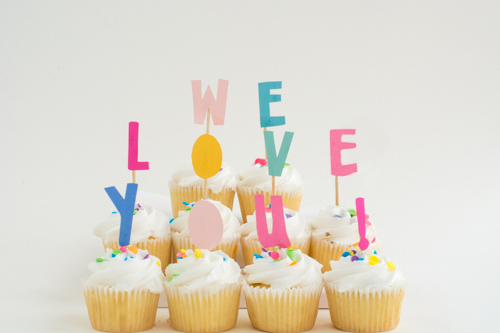 Cupcakes are cute, but donuts or muffins or brownies (or cake or pie) work too. Grab your sweets and let’s get to work! – Card stock is a better choice for this project. Stiffer paper will hold its shape. – You can use any kind of text you want! As stated above, if you like ours, print this. If you have something else in mind, type it and then print it in reverse. To cut out the letters (and make it really colorful), we find it best to take the printed text and cut out the letters in rectangles. 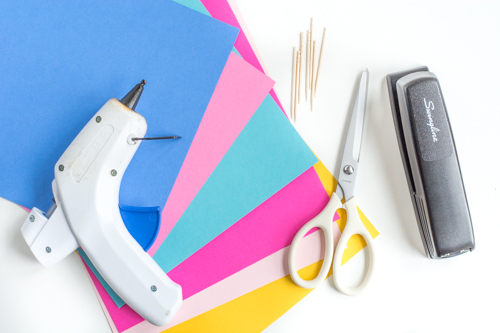 Use the stapler to attach the letter paper rectangle to the card stock color. 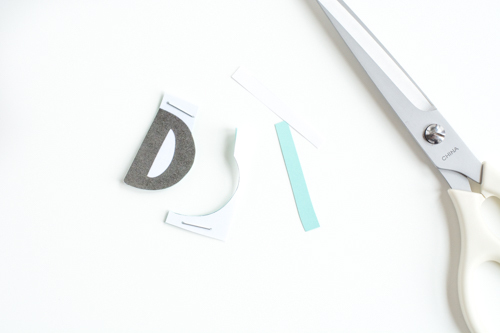 The staple holds the letter in place during the cutting. 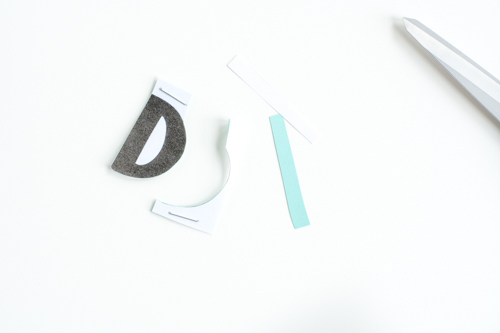 Use hot glue to attach the letters to toothpicks. It only requires just a drop of glue. 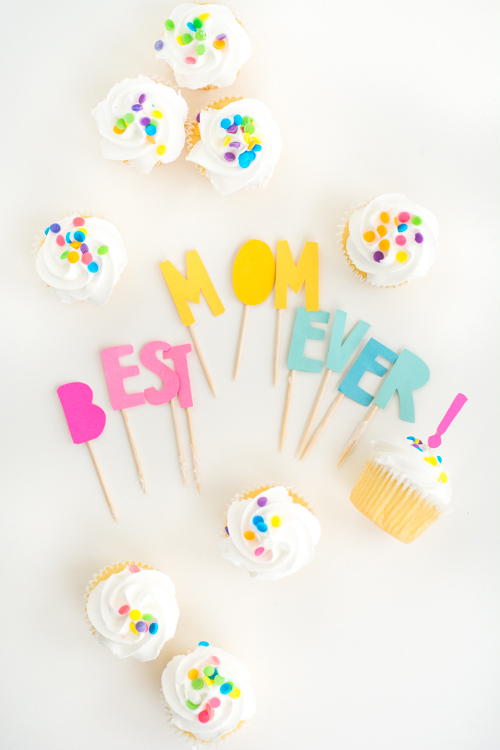 From there, stick them into sweet treats for anyone you want to celebrate! It works for graduation, new babies, mother’s day and father’s day, birthdays, new jobs, new houses, and on and on. So simple and easy, right? It’s like a card and a treat all in one. My kids will be all over this — I can picture Maude writing out a celebratory message for the whole track team! How about you? How will you use this project? What will you write? P.S. — Lots more fun + pretty projects. I love these cake flags! 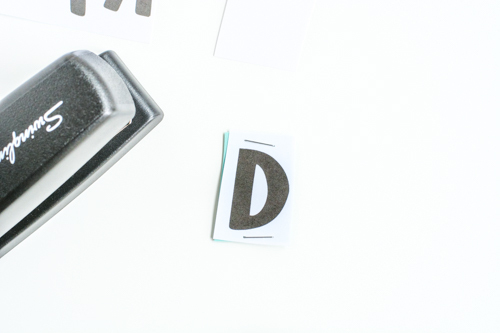 My little guy is obsessed with letters, and inserting them into mealtime will be a great surprise.